Clairol 5in1 Fruity conditioner nourishes and helps protect the family' hair leaving it smooth and easy to comb. It is inspired by fruits, a well-known source of vitamins and nutrients. Inspired by Mums, 5 ways to care for the family' hair all in 1 bottle. Nourishing conditioner for the family. With fruit extract, a well-known natural source of vitamins and nutrients. Offers 5 benefits in a bottle: 1 lightweight conditioning / 2 softens / 3 nourishes / 4 smells fresh / 5 detangles. 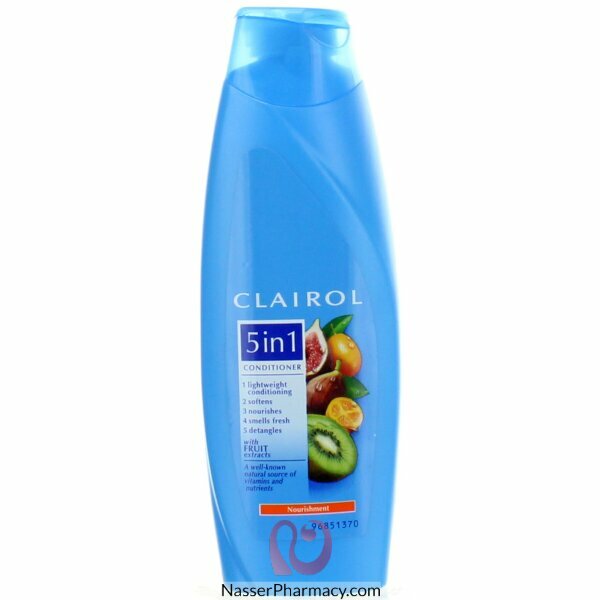 For best results, use with Clairol 5in1 Fruity shampoo.